The annual Consumer Electronics Show (CES) reveals new products and corporate strategies that can both drive enhanced growth, and complications, in industrial supply chains. Samsung Electronics has announced the inclusion of Apple’s iTunes Movies including AirPlay (streaming / mirroring) in its television lines from spring 2019. In Apple’s case that will help offset a slowdown in revenues – outlined in Panjiva research of Jan. 3 – while for Samsung it should provide a competitive advantage versus other manufacturers who have increasingly included stream services such as Netflix in their offerings. Samsung’s move comes as U.S. imports of televisions have undergone something of a renaissance in 2018. 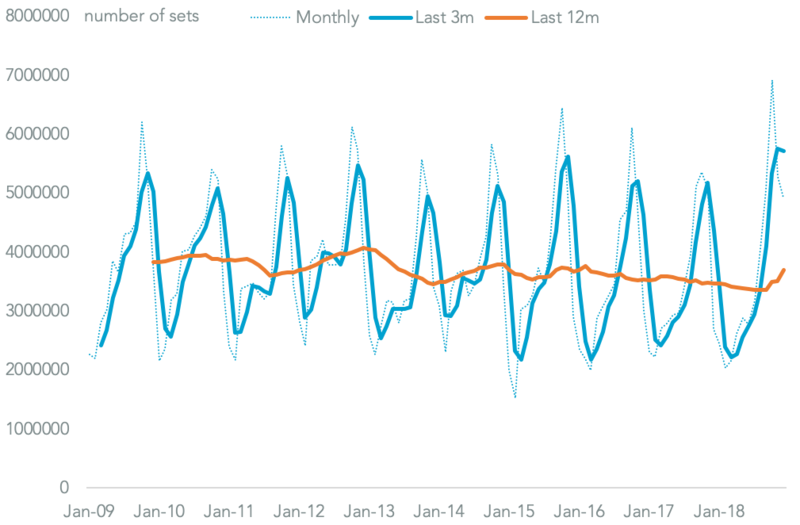 Panjiva data shows that total imports likely climbed 6.7% compared to a year earlier to reach 44.3 million sets, including provisional seaborne data for 4Q. That followed a 1.9% decline in 2017. 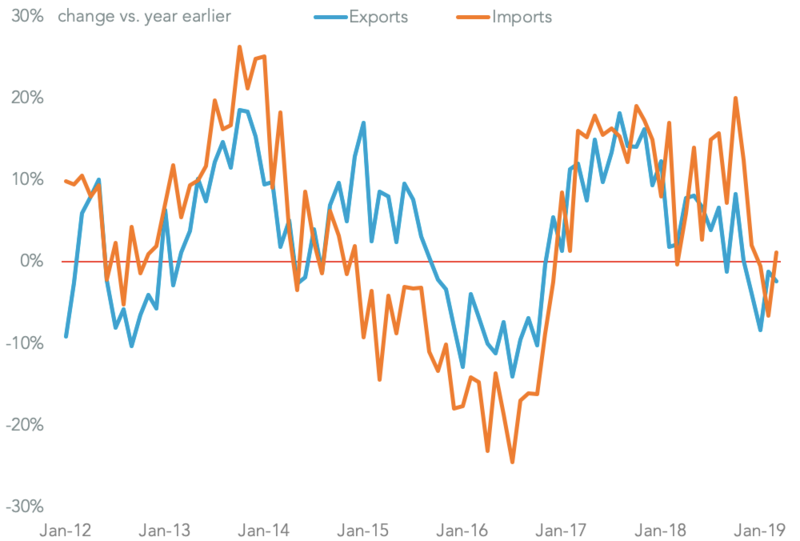 The increase may include concerns about U.S. tariffs only Chinese exports, which accounted for 52.7% of the total in the 12 months to Oct. 31. Panjiva analysis shows that most types of television have yet to have tariffs applied. Yet, Samsung may not have shared in the growth in demand for TVs, explaining the need to add “content” as well as “hardware”. U.S. imports by Samsung Electronics of TVs imports, including seaborne shipments and land-based shipments from Mexico, having fallen by 3.4% on a year earlier in the 12 months to Nov. 30. Its competitors did much better. 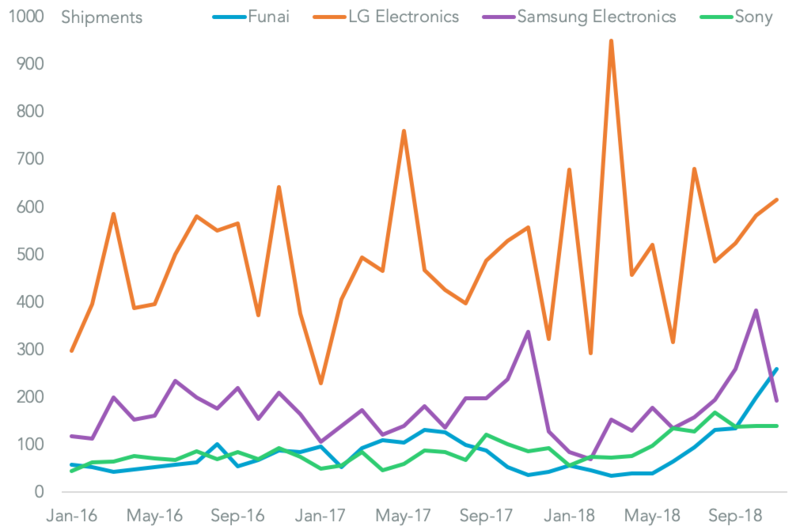 LG Electronics, including Mexican production, saw a 14.0% increase while Funai (sold under the Philips and Sanyo brands among others and increasingly sourced through Mexico) climbed 6.8% and Sony (predominantly from Mexico) jumped 43.7%. 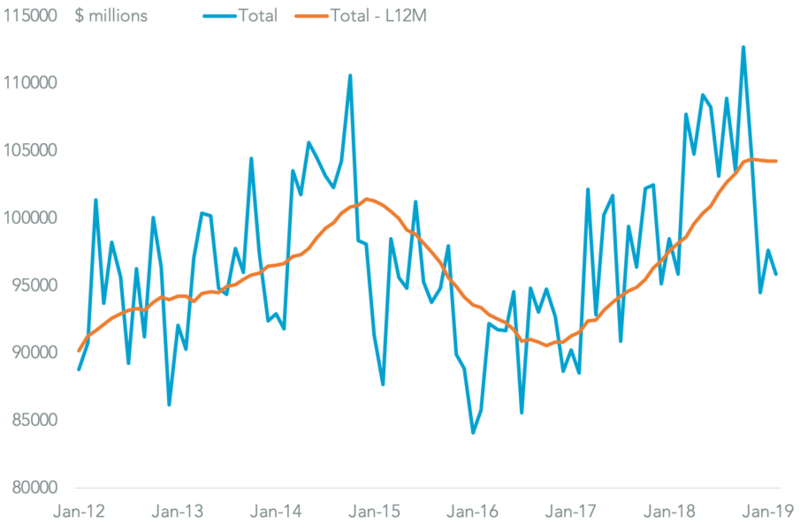 The latter likely reflects a shift in supply chain structure rather than reflecting an underlying acceleration in growth.